Kevin joined the firm after serving Hoosiers for more than a decade as both the Clerk of the Indiana Supreme Court, Court of Appeals, and Tax Court, and Supreme Court Administrator, managing 28 employees and gaining invaluable insight into the inner workings of Indiana’s Judicial Branch and its three highest courts. He also worked extensively on interpretations of and revisions to the Indiana Rules of Appellate Procedure, the Indiana Admission and Discipline Rules, and the Indiana Administrative Rules; led a multi-discipline team of public and private practitioners, court staff, and IT professionals in planning and implementing Indiana’s appellate e-filing initiative; taught numerous seminars on appellate procedure; and oversaw the Supreme Court’s legal and administrative caseload of approximately 1,000 matters per year and its transition from paper to electronic records. 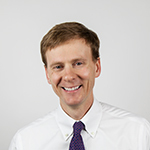 Before government service, Kevin spent many years advising clients on a wide variety of labor and employment issues, such as civil rights and discrimination claims, the Family and Medical Leave Act, wage and hour compliance, appropriate personnel policies, and covenants not to compete, as well as litigating matters in federal and state trial and appellate courts. Prior to private practice, Kevin was honored to serve as law clerk to the Honorable Randall T. Shepard, Chief Justice of Indiana, and to the Honorable Alice M. Batchelder, Judge of the United States Court of Appeals for the Sixth Circuit. He graduated from the Indiana University School of Law in Bloomington, Indiana, with high distinction, finishing in the top 2% of his class of 200. While in law school he served as an Editor on the Indiana Law Journal and was inducted in to the Order of the Coif. Kevin and his wife Maggie are recent residents of Hamilton County, having moved to Cicero in December 2015 with their two children. 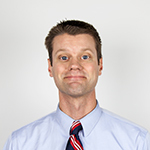 Kevin enjoys spending time with his family, traveling, backpacking, boating, and attending his kids’ sporting events. When he has a quiet moment, he enjoys reading good books, watching classic movies, and listening to a wide variety of music.